Robert H. King was imprisoned in 1971 on charges of robbery. In 1972, Albert Woodfox, Herman Wallace and King were put in solitary confinement for the murder of a prison guard. King got out in 2001 after the charges were overturned. Photo by Brian Lapuz. Left to right: Robyn Maynard, Robert H. King and Clara Poissant-Lésperance. Photo by Brian Lapuz. “Even though I was free from Angola, Angola will never be free from me,” King said. 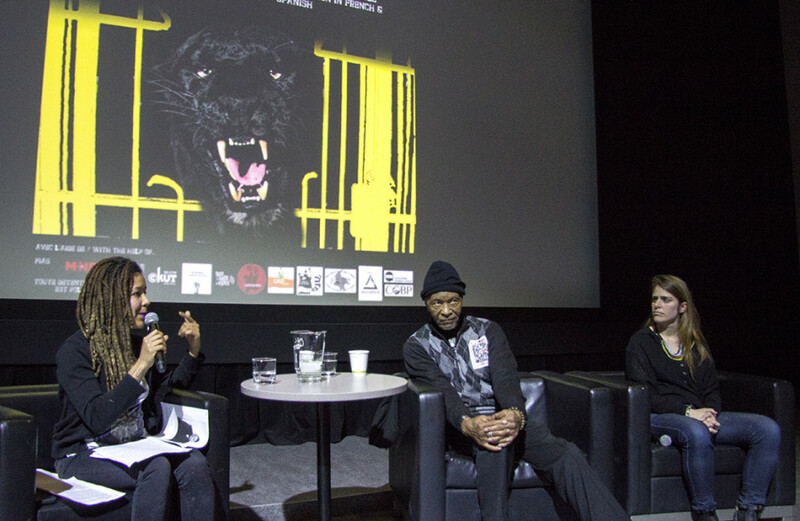 This was at a panel discussion at Concordia University’s Hall Building on Friday night, organized by a solidarity group called Contre les prisons. King is one of the Angola Three—a group of three men consisting of Albert Woodfox, Herman Wallace and King, who were all members of the Black Panther Party for Self-Defense. They had been sent to the Louisiana State Penitentiary in 1971 for armed robbery. In 1972, they were put in solitary confinement for the stabbing and murder of a prison guard. In 2001, King was released after his conviction was overturned. Woodfox and Wallace were released in 2016 and 2013, respectively. There was no evidence tying these men to the murder of the prison guard, and the sole testimony in the case had been falsified by the witness after he had been tortured by the authorities. King saw their experience as a direct consequence of a crusade by J. Edgar Hoover, the director of the US Federal Bureau of Investigation at the time. Hoover worked to destroy the Black Panthers, which he called the “greatest threat” to the internal security of the United States in 1969. 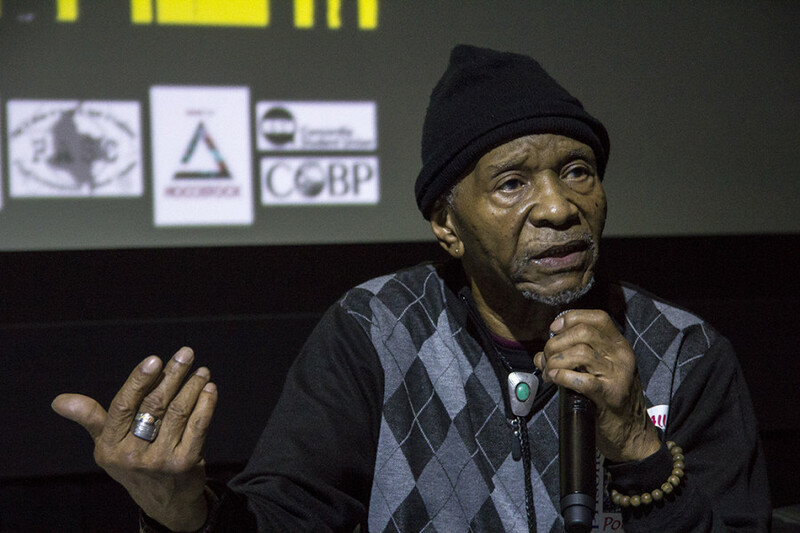 The story of the Angola Three was only the tip of the iceberg, said King. Many others, he added, had also suffered imprisonment for their political affiliations. 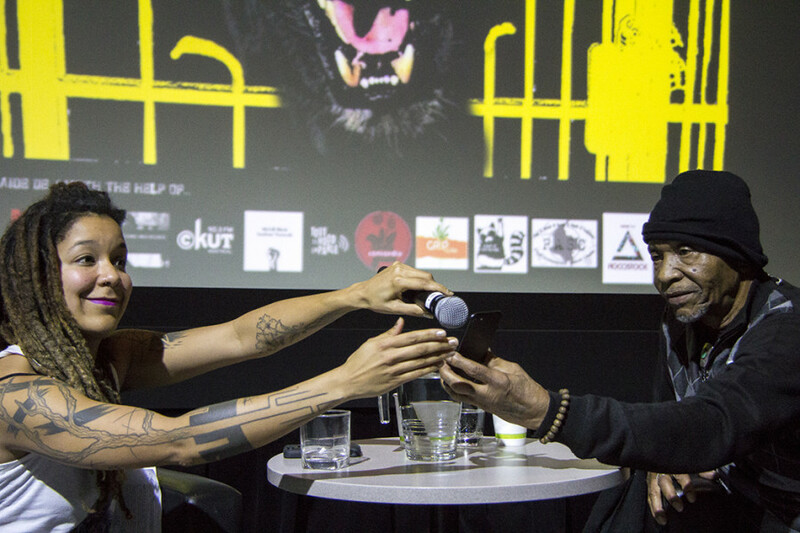 Woodfox was originally scheduled to attend the panel in person, but briefly joined over the phone instead. The host held a microphone to a cell phone for people to listen in the auditorium. Albert Woodfox was scheduled to attend the panel at Concordia, yesterday, but ended up joining by phone instead Photo by Brian Lapuz. “We will defeat this evil, as we have also defeated evil in the history of humankind,” Woodfox said. He called for people to join the fight for human integrity. “I’ll holla at you later, bro,” said King, ending the call. For both these men, this fight extends to challenging the system of politics and legality. King argues that injustices are the fallout of people handing over their political voice to politicians. Sitting next to King was panelist Clara Poissant-Lésperance, a lawyer for Trudel Johnson & Lésperance. Poissant-Lésperance’s firm has been representing a class-action lawsuit against the Canadian Government for more than a year. They are alleging that incarcerating a person in solitary confinement for more than 72 consecutive hours is a violation of the Canadian Charter of Rights and Freedoms and the Quebec Charter of Human Rights and Freedoms. She spoke briefly, but pointed out that Indigenous people are overrepresented in the Canadian prison system. According to Statistics Canada, Indigenous adults make up a quarter of the inmate population, while only making up three per cent of the population. Later on, King took questions from the audience. One person asked King if he was concerned about state surveillance. King said he couldn’t care less about being under surveillance and intends to continue the type of work that would keep him on the radar. “Of course they’re checking up on me. So what? What else can they do to me?” King said. Another asked a question about his mental health and if King ever had thoughts of suicide while in solitary confinement. The evening concluded, not with a question, but a statement from Emmanuel Jean-Louis, a student from Cégep de Rimouski. He recently received a ticket of $102 and was briefly handcuffed by the Sûreté du Québec for loitering, after campus security repeatedly asked him to leave the premise of the college. For Jean-Louis, the scenario was a case of racial profiling. It was also not the first time that he was harassed by campus security. He said that the story of King and the Angola Three served as an inspiration to keep fighting against injustice. King expressed his gratitude to Jean-Louis.